The Chi DNA micro-documentaries draw from the themes, topics, and issues brought about in the academic research. Drawing from the original in-depth interviews, these episodes allow the Chi DNA community to be in conversation with one another to tackle various topics offering nuanced analyses through personal experiences and speaking truth to power. 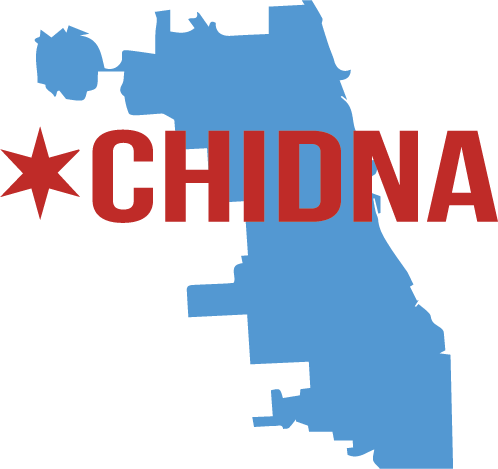 The first episode in Chi DNA's micro-doc series explores perspectives around the controversial term "Chiraq". Drill rappers, activists, and everyone in between discuss their personal feelings about the nickname for Chicago that compares the violence in the city with the war in Iraq. Some hate it, some deem it appropriate, some view it as a broader diagnosis of neo-imperialism on Black and Brown communities, foreign and domestic. Its problematic framing paints the city with a broad brush, further exposing a white narrative of black violence devoid of systemic inequality and racism. Art has been a tool of movements past and continues to serve as a versatile component of the movement.The second episode in Chi DNA's micro-doc series explores the role of art in activism and the importance of telling one's authentic narrative creatively in speaking truth to power. Art and activism have always gone hand in hand. Chicago activists use various artistic mediums to push the resurgence forward. From traditional paint on canvas to informative and beautiful zines to community corner spoken word, creative narratives are employed to educate, express, and cope. The third episode in Chi DNA's micro-doc series explores the notions of exile, refuge, and displacement in Chicago and abroad. International refugee crises (Assad in Syria, Sierra Leone child soldiers, etc. ), neighborhood gentrification, and intracommunal violence are all byproducts of similar manifestations of de jure segregation, disenfranchisement, and global/local hegemony. Cultural representations in books, movies, and music struggle to make sense of the larger geo-political forces that create such destabilization of regions and displacement of peoples. These cultural practices and products serve as bottom-up responses to the top-down processes of white supremacy and global capitalism. The fourth episode in Chi DNA's micro-doc series explores electoral politics as it relates to public policy and grassroots organizing, particularly before and after the presidential election of Donald Trump. Drill rappers and activists discuss levels of civic engagement and the effect (or lack there of) recent elections and local politics have had on their worlds. As activists have seen a resurgence in salient activism, they warn that the new energy need be directed toward the systemic and social conditions that resulted in a Trump Presidency rather than the man himself.